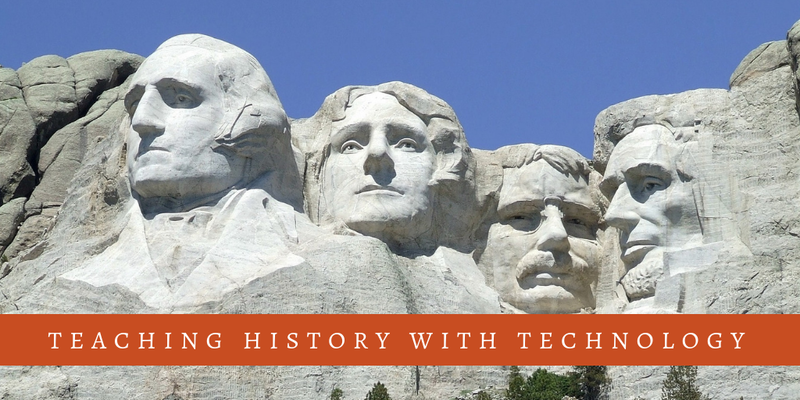 Next week I am hosting my Teaching History With Technology course on PracticalEdTech.com. That five week course covers seventeen concepts for infusing technology into social studies lessons. Those core concepts are outlined below. We all have that colleague who always searches for Google Docs or thinks that the only way to find Google Classroom is to first open his email and then open the apps menu. 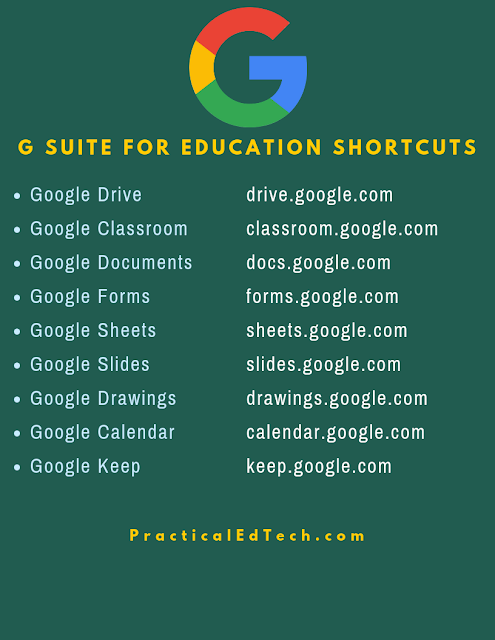 That's why I created a PDF and PNG of shortcuts to the core elements of G Suite for Education. You can find the PDF here and view the PNG file below. 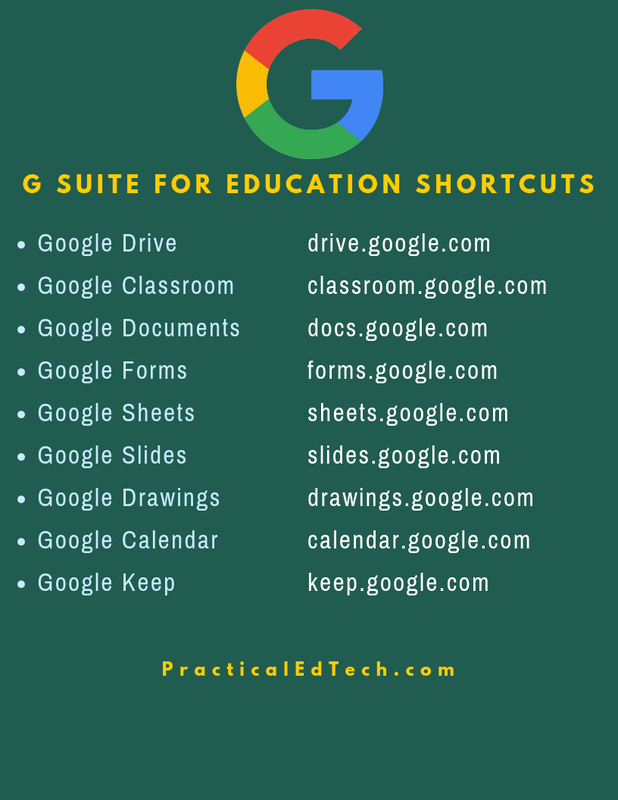 Learn more about G Suite for Education in my upcoming course, Getting Going With G Suite.